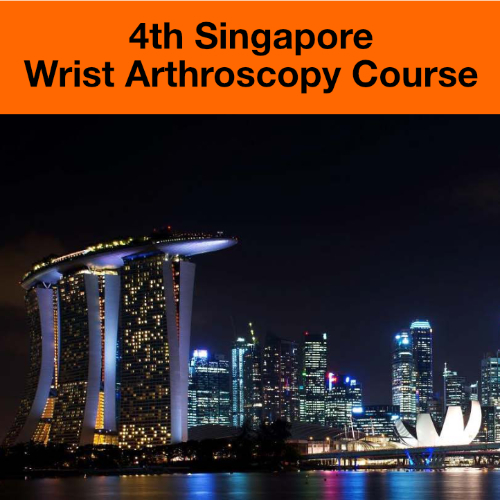 The Singapore Wrist Arthroscopy Course is now in its 4th edition after coming off 3 successful runs. For this upcoming course, we will be focusing on more complex surgical techniques and procedures using cutting edge equipment. The course is limited to 20 participants with faculty to participant ratio kept strictly to 1:2 which allows the participant to have ample and realistic hands‐on experience under the close guidance of the expert international faculty. Besides hands on sessions using fresh cadaveric specimens for each day, the 2‐full day course will also include a series of expert talks, debates and interactive discussions between the faculty and participants.